In the late 1980s, I was an active footsoldier in Operation Rescue, the anti-abortion organization. Not a leader. Not an organizer. But one of the grunts who did the protests and paid for doing so. I have the battle scars. You may disagree with me if you will, but you can’t challenge my experiences. I met some of the most concerned and dedicated people in Operation Rescue. Better people than I am. I was committed to the cause. For those others, though, the cause was their life. I think there’s a powerful spiritual delusion that accompanies the pro-“choice” side. Planned Parenthood used to hide behind the mask of “helping women,” but their rabid opposition to General Electric’s 4D sonogram technology tore away that mask several years ago. Though the 4D technology would help women immensely, especially healthwise, it has the side effect (a negative one from Planned Parenthood’s perspective) of showing the developing fetus in crystal clarity. Makes it much harder to abort one’s child when that child flashes you a winning smile from the womb. In short, Planned Parenthood doesn’t give a damn about women’s health. They love the money that comes from killing babies. The first sentence was the major theme, but what followed was often used for garnering new recruits for Rescue. Today, I’m not active in Operation Rescue or the prolife movement. I haven’t been in 20 years. That said, I didn’t leave because of grudges or snits. I left because I felt there had to be a better way. We tend to interpret the Bible willy-nilly. Whatever suits our position winds up quoted. But how can we as the Church interpret anything from the Bible without a reference back to the mission Jesus gave us? I would contend that everything we do as Christians must be viewed through the lens of Matthew 28:19-20 or else we are off our mission, the mission the Lord gave us straight from his lips. In light of this, how then should we interpret Proverbs 24:11-12? Are we to rescue babies alone? No, we are to rescue anyone being led away to death. And since anyone whose name is not written in the Lamb’s book of life will taste the eternal agony of the second death, working to rescue those stumbling toward it becomes our primary job. The only way to interpret Proverbs 24:11-12 is that we are tasked to ensure that no one, no matter how deserving, ends up being led off to that hellish slaughter. Physical death is horrible. In the case of the death of the unborn, babies being ripped apart in the womb should shock and horrify anyone whose soul hasn’t been seared. But the second death is an order of magnitude more horrifying than any of that. We just choose not to think it is. “Sir,” addressing the preacher, “if I believed what you and the church of God say that you believe, even if England were covered with broken glass from coast to coast, I would walk over it, if need be, on hands and knees and think it worthwhile living, just to save one soul from an eternal hell like that! For all the time and energy the prolife movement has invested in fighting for the unborn, I keep wondering how many more gains we could have made if we focused on ensuring not one soul ended up in hell forever. Converts to our faith don’t tend to abort their unborn children. And in making those converts a priority, aren’t we in fact rescuing two people? Sometimes, the good is the enemy of the best. The times we live in are growing increasingly difficult for people to navigate. It’s hard to ignore the cultural and societal breakdown. The wicked seem to flourish, and the righteous increasingly find it tougher to cope in a world where truth is called a lie and love is considered hate. The anger in this country runs at a fever pitch, and as Christians, who claim to have citizenship in a different world, the tendency to want to fight back becomes overwhelming. Don’t we have rights? Don’t we have a mandate to right wrongs? Are we not Americans, too? With so many conflicting voices out there, sorting through the noise takes concentration. It demands focus, a singleminded devotion to what is core—especially core to Christianity. For that reason, I want to state the obvious, because with all the shrill voices we hear daily, what is obvious is proving harder to remember. Jesus Christ is Lord. Go and make disciples of all nations. Any other mission is a distraction. Do we understand this? I don’t think we do. 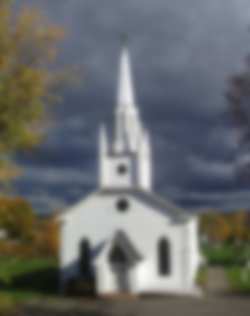 When I look at the American Church today, it looks fuzzy around the edges, out of focus, blurred. 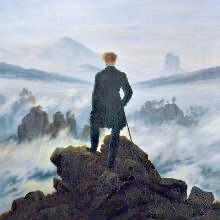 Our goals are nebulous. We’re pulled in a million directions, with each of us dedicated to some pet ministry project that doesn’t intersect any other ministry project. In addition, we daily add some other front to the culture war. We’re already fighting this agenda and that, yet each day another agenda from some godless group crops up and we have to open a new war front. Countless Christians fight the cultural, political, and societal wars. It used to be that just raising awareness of some new sinful agenda was enough, but when that didn’t work, counterattacks had to be devised. People were encouraged to join the cause. Fires were stoked in the faithful. Write and email our congressman; demand he or she take action. Protest. Get on the picket lines. Let the world see our faithfulness by how hard we fight godless agendas. And when that fails to work, let’s get angry. Our foes are angry, so why not show them we can be even nastier. If they fight with a lit torch, then we counter with a flamethrower! They get their lawyers, but we get twice as many! Sue! File lawsuits! Shout, yell, scream! And when that doesn’t work, just do it longer and louder! Keep raising the stakes! If they want martyrs, then martyrs they shall have! Let the blood run in the streets if it has to, but the cause of Christ must be established in America, come hell or high water! And if it takes bashing a few heads to get there, then let the bashing commence! Many Christians talk about taking dominion, but the only way that dominion comes about is by meeting the enemy’s footsoldiers and converting them into Christians. If the opposing army is now on your side, you’ve won the war. But instead of focusing on Jesus while we lead people to Him and disciple them into maturity, we Christians go all fuzzy. We dilute our efforts and our focus by going after agendas, many of them longtime agendas against which we have made little progress despite millions of hours devoted to fighting them. What would happen if we took all the effort devoted to fighting all these fronts and devoted it to active evangelism instead? What would be gained by millions of hours of dedicated evangelism and training up new believers into Christian maturity? I ask those questions because our country has never experienced less evangelism and discipling to maturity than in these times. Statistics show that fewer Americans attend church and have never been less interested in the Christian message than today. Not only have we lost the culture wars because we focused on them to the detriment of our core calling, but by jumping on so many bandwagons that are NOT core, the pews in our churches emptied faster than in any time in our country’s history. Want to stop the homosexual agenda? Want to restore ethics to business? Want to fight indecency all around us? Want to restore the principles that made America a great nation? Want to see the Church grow and lift Jesus up?